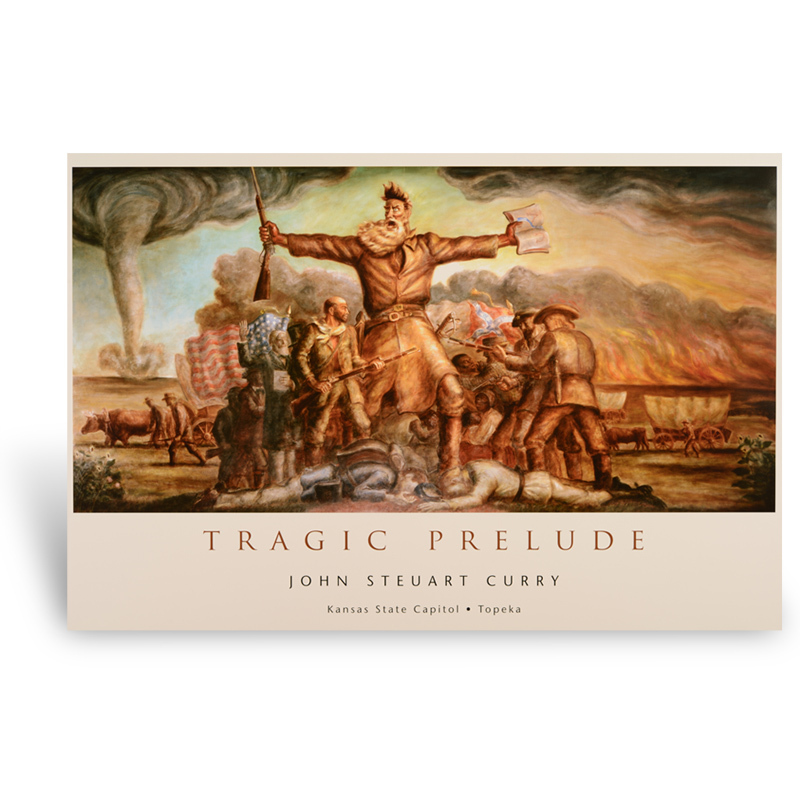 John Steuart Curry created the iconic mural of Tragic Prelude on the second floor east wing of the Kansas State Capitol. A portion of that mural featured John Brown at the center of the antislavery movement in Kansas Territory before the Civil War. Considered among Curry’s best, the mural is rich in symbolism with Brown at the center of the impending winds of war. The work was completed around 1941.